While the sign may be hard to read from this picture, I promise it says "Will you go to prom with me?" 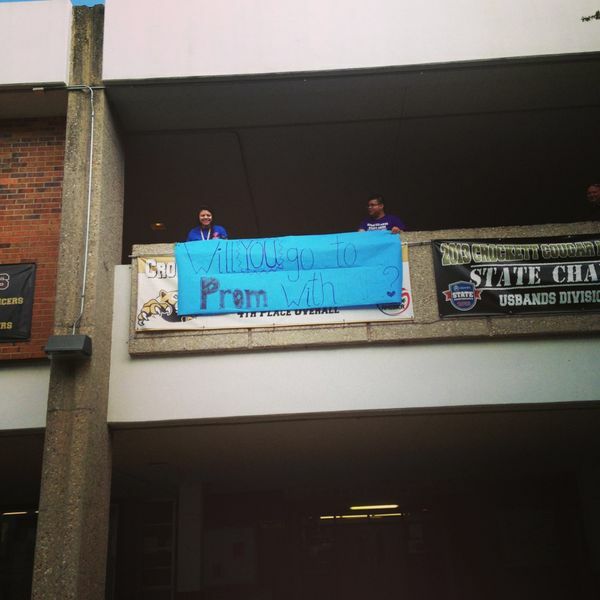 Today during lunch, this banner was revealed as a young lady asked her boyfriend to prom. We made sure to check with her beforehand that he was going to say yes, so that a YouTube rejection video wouldn't be going viral this afternoon.